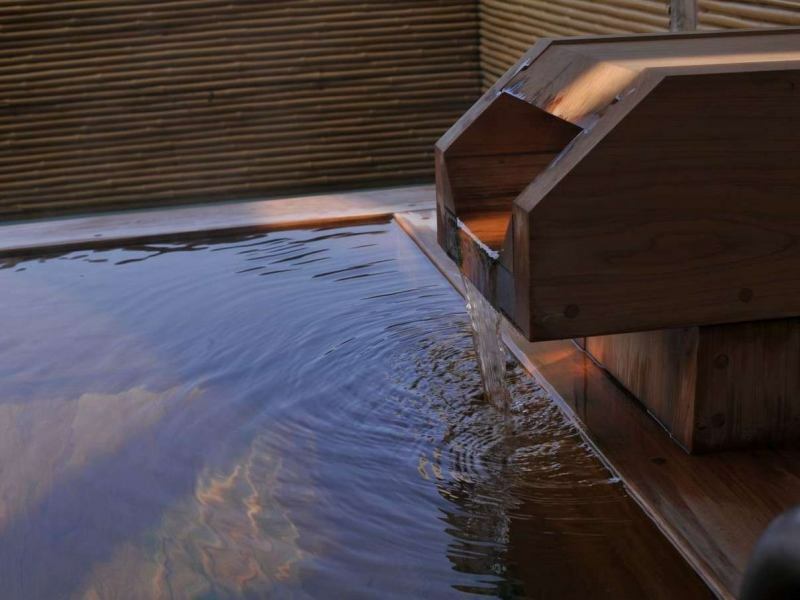 It is a private cypress outdoor bath for guests staying at Hotel Ryujoen. You can enjoy the beautiful scenery in the season of cherry blossoms, wishing for cherry blossoms / Joyama Park. You can use it until 9:30 the next morning. 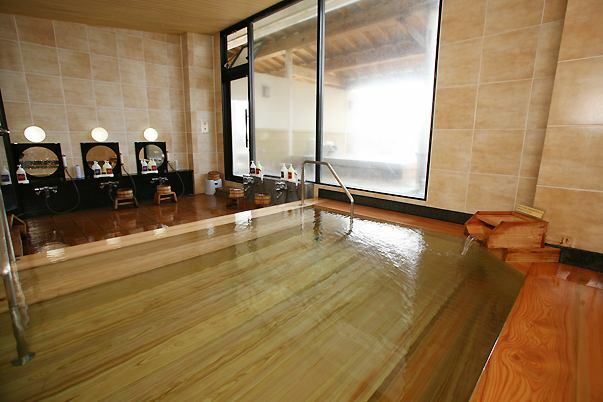 You can enjoy Odawara Onsen with a spacious inner bath. Origin It is a fresh bath.You can use it until 9:30 the next morning. 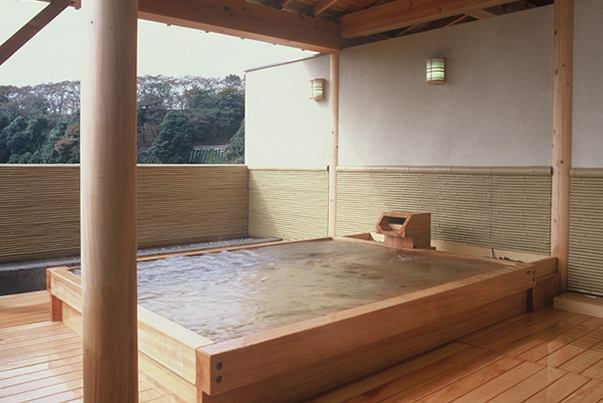 Every year, we conduct water quality tests in all bathtubs, but in every year Legionella bacteria were excellent detection results of less than 10 out of 100 ml.Odawara Onsen, we are unhappy with this result and offer safe and safe hot springs to customers without neglecting sanitation management such as cleaning. ■One bottle of hot spring drink is set to about 170 ml, and the amount of the daily amount shall be approximately 510 ml. For those under 15 years of age, knowledge is not always sufficient, so in principle avoid drinking. 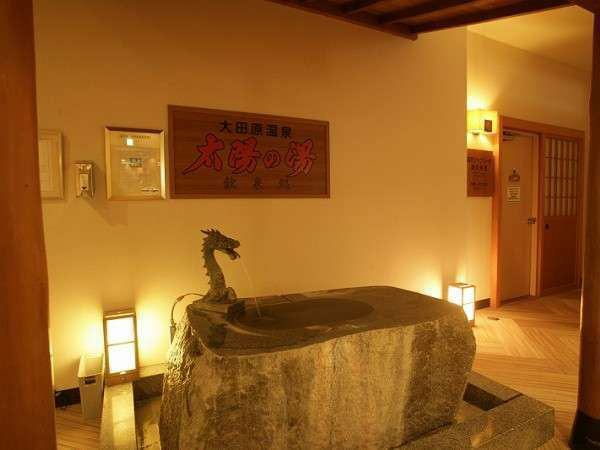 Odawara Hot Springs "Taiyo-no-Yu" is a natural hot spring that springs out from the depth of 1,050 m underground in August 1984.The hot water temperature is 51.4 degrees and the hot water amount is 220 liters / minute. For men and women only bathrooms for hotel guests (Inner bath / outdoor bath), it is possible to take a bath from 9:30 the following morning after check-in (not permitted for private).